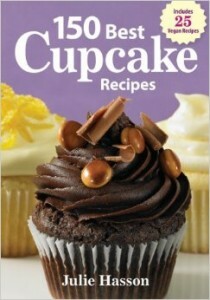 Everyone who enjoys baking should have at least one cupcake recipe book in their collection. Cupcakes are growing in popularity, often being served in place of traditional cakes at weddings, anniversaries and birthday parties. This means that for more and more people who enjoy baking as a hobby, having a good cupcake recipe book that includes decorating tips, allows you to try new and exciting flavors, and to experiment with those more creative decorations you have been wanting to try. Here are some great cupcake recipe books that will help any hobby baker move on to the next level and produce stunning looking and tasting cupcakes for family, friends, and even that bake sale! Betty Crocker has been an inspiration to home cooks since the 1920’s, never mind that Betty Crocker is not a real person and never has been. Her recipe books, of which there have been over 250 different ones, have appeared in households all over the world, and many adults grew up learning how to cook recipes bearing this fictitious woman’s name. So it only seems natural that when your ready to bake those great tasting and nicely decorated cupcakes, you might turn to good old Betty for inspiration, and the Big Book Of Cupcakes is the ideal way to get started. The basics. The beginning of the book offers 4 very basic cupcake recipes and 5 basic frosting recipes for beginners. Many of the other flavors in the book start with these basic recipes, and then add other flavorings to make a wide variety of cupcake and frosting flavors. Even if you are the type of person who likes to stick to the basic box cakes offered in the store, this book is worth buying simply for the decorating tips that it offers. This book has ideas that will make your next cookout or tail gate party a huge success, not to mention that it will help brighten up the holiday with elegant and fun cupcakes. Reviews for the Betty Crocker Big Book Of Cupcakes are outstanding! While each individual customer seems to have their own favorite flavors of cupcakes they got from this book, all customers seem to agree that the wide variety of flavors make this a fun book for anyone who likes making cupcakes and trying new flavors. Karen Tack is a cooking teacher and food stylist who has also created cupcakes and a number of other desserts for a wide variety of food magazines. Her Hello Cupcake! Irresistibly Playful Creations Anyone Can Make recipe book is an adventure into making creative looking cupcakes from easy to find food items. Most of the decorating tips in this book are designed to create a more fun rather than elegant looking cupcake. It’s great that the decorating tips in this book don’t require hobby bakers to go out and purchase a lot of decorating equipment, but make do beautifully with ziplock bags and easy to find food items. Reviewers seem to love Hello Cupcake!, giving it top marks for its ease of decorating techniques as well as its fun decorative cupcakes. 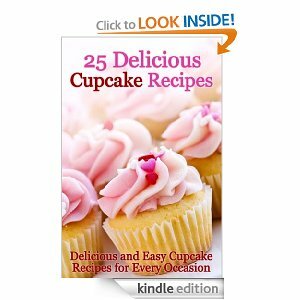 25 Delicious Cupcake Recipes: Delicious And Easy Cupcake Recipes For Every Occasion By The Cooking Penguin is a Kindle book that offers some great cupcake recipes for a very low price. This book covers most of the basic cupcake recipes, as well as few more interesting flavors. However, it is a bit disappointing in that it seem to lack any decorating tips for making your cupcakes look as good as they taste. This cupcake cookbook gets good reviews. 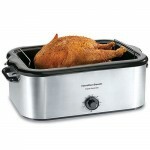 However, some customers note that some of the recipes call for ingredients not in the ingredient list, and that the amounts for certain ingredients are not given. Julie Hasson has dedicated her young life to making taste tempting food. She has worked as a private chef, and her recipes and articles have been featured in a number of cookery and other magazines. In 150 Best Cupcake Recipes, Julie takes you inside the world of taste tempting cupcakes with some really great decorations. 150 Best Cupcake Recipes includes some tried and true favorite cupcake recipes, as well as such interesting sounding new recipes as French Toast Cupcakes. With decorating tips, and even a list of tools you will need to make some of the beautiful cupcakes in this book, most customers should find this book a complete guide to baking and decorating cupcakes. There are only a limited number of reviews available at present for the 150 Best Cupcake Recipes book. However, the few reviews that are available give this recipe book a glowing report. Customers were really pleased with the quality of the recipes included in the book, the clear and concise instructions, and the attention to detail. They are happy to recommend this cupcake book to those who already love to bake and those who are just starting out. Jennifer Shea is the founder of Trophy Cupcakes And Parties, a well known party planning and cupcake venue in Seattle. In her book, Trophy Cupcakes And Parties! Deliciously Fun Party Ideas And Recipes, Jennifer offers some great cupcake recipes, as well as some of her award winning ideas on throwing that perfect party. This is more than a book of cupcake recipes, (although having a few recipes from an award winning cupcake shop sounds pretty thrilling! 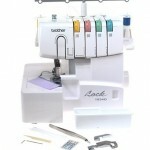 ), as this book covers party planning as well, which may prove exceptionally useful to many customers. There are only a handful of reviews for the Trophy Cupcakes And Parties book, but those reviews are all top notch. If you like baking cupcakes and want to take your cupcake baking to the next level, and find both amazing new cupcake flavors and great cupcake decorating ideas, then having a cupcake cookbook will help you to become the champion cupcake baker of the neighborhood!